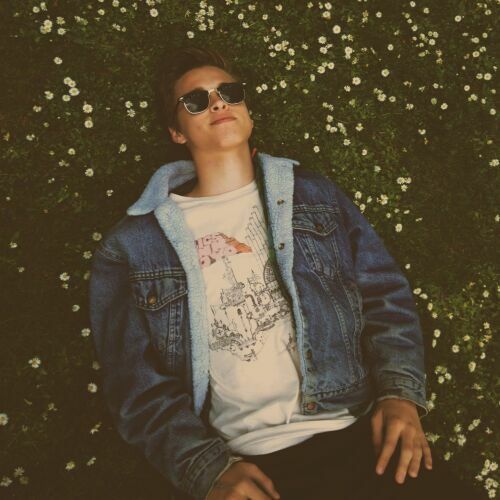 Ryan Beatty is a 22-year-old singer-songwriter with musical talent that is far beyond his years. Born and raised in Clovis, California, surrounded by a family with a wealth of talent, Ryan began singing before he could even speak. His vocal style covers many styles and influences – from Bruno Mars and John Mayer, to music legends Stevie Wonder, James Taylor and Kenny Loggins. By the end of 2009, Ryan started uploading videos to his sister’s YouTube account… and then the social media world took notice; Hundreds of Thousands of people started becoming aware of Ryan’s vocal ability, charm and star-potential. On February 25, 2011, Ryan created his own YouTube Channel, which has received tens of millions of views, and well over 130,000 subscribers. In fact, Ryan’s Channel is one of the most subscribed-to-channels on YouTube worldwide. Also, Ryan has been featured on Billboard’s Top Fastest Rising Artists across Social Media Networks. Ryan has performed for crowds at the Tower Theater in Central Fresno, CA, and the world-renowned Roxy Theater in Hollywood. Ryan has also been featured in M-Magazine, and will be featured on the front cover of PopStar Magazine. In 2012, Ryan released his debut EP, Because of You, featuring his first single, "Every Little Thing," as well as the track "Hey L.A.," which was featured in a commercial for the AT&T "It Can Wait" campaign, featuring Ryan. In 2013, he released his follow-up EP, Ryan Beatty, featuring the single "Chameleon." In 2016, Ryan released two singles: "Passion" and "Stay Gold." But let’s make no mistake – Ryan is much more than just another new “pop star” or teen sensation; Ryan Beatty is an extraordinary musical artist with a youthful charismatic energy that truly touches his fans through his voice and songs.